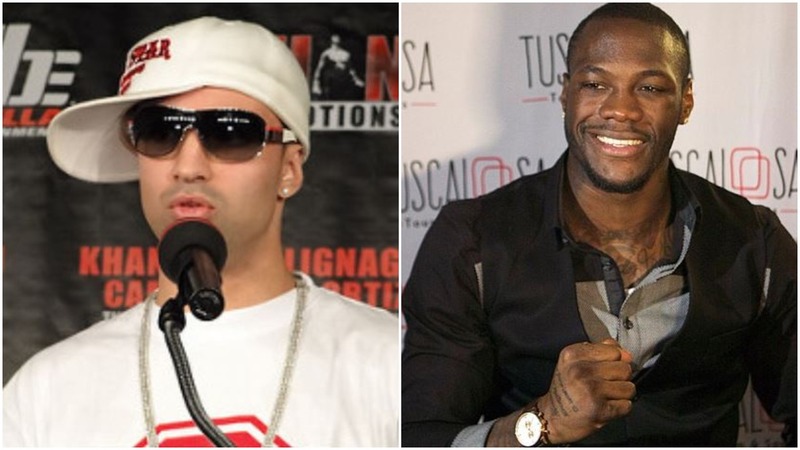 Former world champion Paulie Malignaggi has made a comment about WBC heavyweight champion of the world Deontay Wilder that not many are aware of. Wilder often comes in for flack in some quarters among fight fans for his unorthodox style. Perceived as being too wild and in the colourful lingo of some having ‘windmill’ punches. Say what you want about his technique, it has proven to be effective thus far. Its resulted in a lot of highlight reel knockouts at the end of the day. Isn’t that what heavyweight boxing should be about. Bone crunching, devastating, one-punch knockouts. But if you understand Wilder’s short amateur career the above is not that surprising really. Wilder eventually made the decision to turn professional despite an impressive amateur career in a very short time frame. He wanted to bring in more money to support his sick daughter at the time. Not many ever bring up his short amateur career and achievements above – so hat tip to Malignaggi for that. Wilder now faces Luis Ortiz of Cuba next up on March 3rd at the Barclays Center in Brooklyn, New York. The fight was previously scheduled for last year but had to be put back due to a failed doping test by Ortiz at the time. His suspension by the WBC was subsequently lifted.